I’ve noticed that the supermarkets are stocking these dinky peppers on a regular basis now. 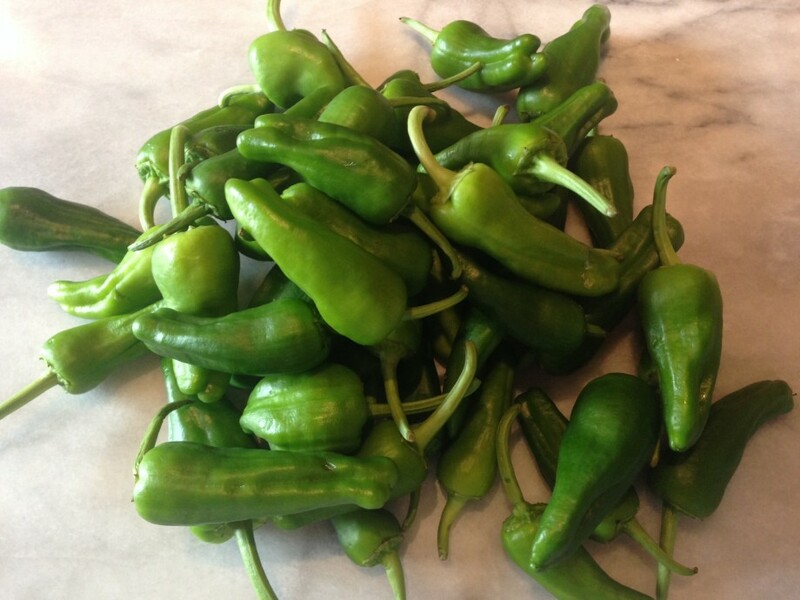 You may well have tasted them as part of a tapas, being hugely popular in Spain. As they need no preparation, apart from a wash under a tap, and they cook in barely minutes I often include them as a vegetable side dish-even if I’m not cooking Spanish food. The best thing about these seemingly mild little peppers is that in a packet of about 200g, one or two of the little blighters is fiery. I believe the fluctuations in their heat depends on how much or how little water they get during growth. Don’t worry too much about the heat-it is nothing like a Scotch Bonnet chilli-just nicely warm. 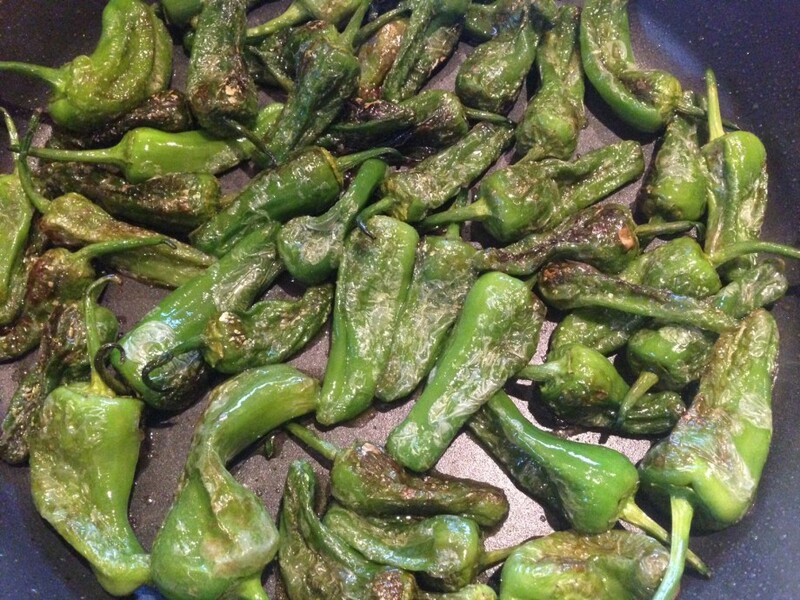 To cook Padron peppers, heat a little olive oil in a frying pan and add the peppers. Fry over a moderate heat for 4-5 minutes, stirring regularly, until their skins start to turn black and blister. Sprinkle with a little Maldon sea salt and serve.